The sensational tour-de-force CD recording by the duo who wrote the book on prepared guitar. You won't believe your ears. 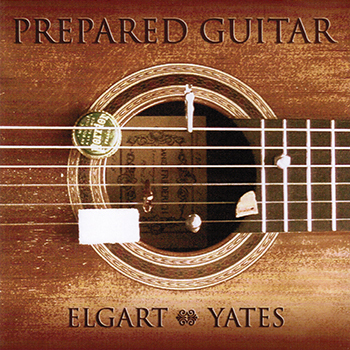 Twenty-five compositions for prepared and unprepared guitars by the Elgart & Yates duo from 1985 to 2004. Each selection documents a piece, a style of playing, and the sound-world of a particular acoustical environment.